Photo: Summer at Rygnestad, Norway. 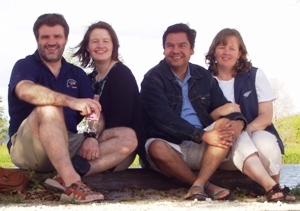 Kristin and Hild formed the Rygnestad Group (pronounced /rignesta:/) in March of 2002. 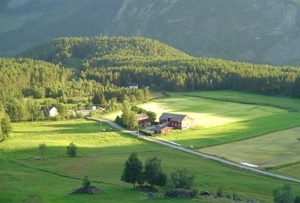 The company is named after a small mountain village in southern Norway where we were born and raised. Since then we have traveled and lived all over the world for our education and work. We first had the idea of forming a company back in 1994 when we discovered that our interests and professional experience were similar on some counts and complementary on other counts. However, at the time we found the geographical distance between our locations (Chile and Australia) too limiting. While keeping the idea alive and evolving over the years, we decided to push ahead in early 2002. At that stage we were finally located in the same country. Our interests and expertise had also developed to clarify and strengthen the original idea. Since 2006, when Hild moved to Canada, we have continued to work together on some projects - integrating our services according to the needs of our respective clients. Photo: Rob, Hild, Alvaro & Kristin. Our goal is to be recognized for providing first class and customized solutions to clients. We believe that first class solutions are easier to find and provide in an open-minded, creative and personal environment. Our ability to provide customized solutions is dependent on us working closely with our customers. This is something we strongly encourage both in the design and development phase as well as after project completion.